When it comes to Marvel movies, usually the plots are kept pretty secret. For example: in Infinity War, we know that the Avengers will be fighting Thanos for control of the Infinity Stones, but we don’t really know what the plot is going to be. That’s where all the tie-in toys come in handy. 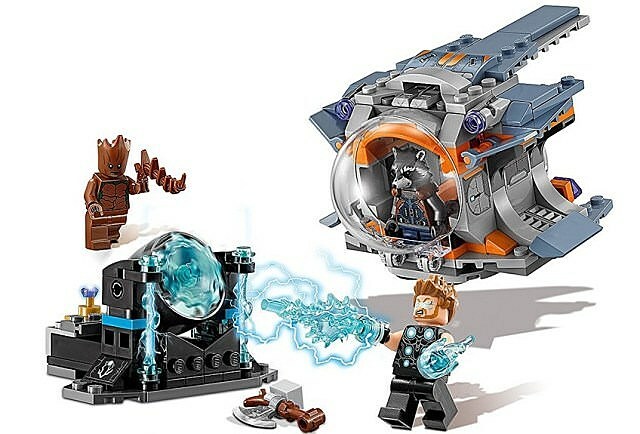 LEGO has released new images (via Brickset, h/t Comicbookmovie.com) of their upcoming Infinity War sets, and those confirm at least one plot rumor and give a few clues about some of the rest of the film. We’ve seen blurry photos of these before, and these pieces from Thor’s Weapon Quest set would seem to confirm that Thor goes on a side-quest at some point in the movie (as he is wont to do) and finds himself a new weapon to replace Mjolnir (RIP). It looks like he’s getting some help from a few Guardians too. 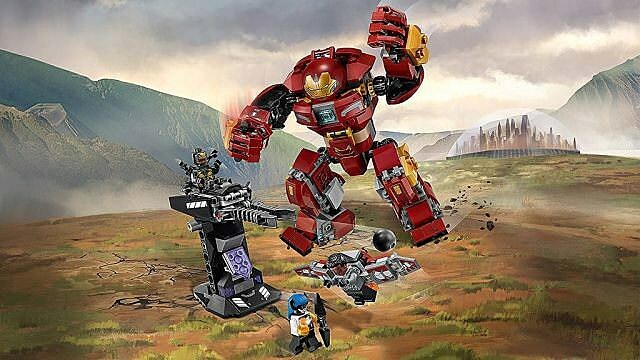 The Hulkbuster armor is back in The Hulkbuster Smash-Up set. Surely to Bruce Banner’s relief it looks like it’s being used to fight something other than the Hulk this time. 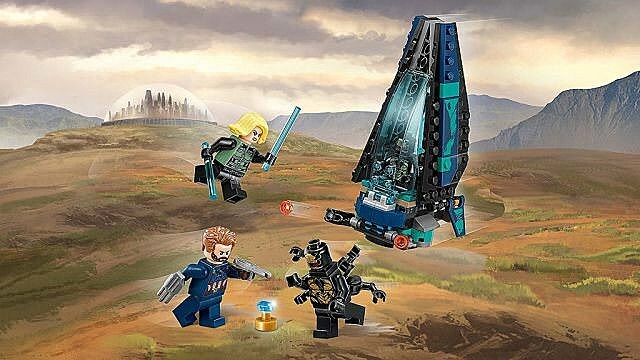 The Outrider Dropship Attack set includes a little LEGO figure of one of those many-armed beasts we’ve seen in the trailer — presumably they’re called “Outriders.” Also, please note Captain America’s very accurate LEGO beard, thank you. 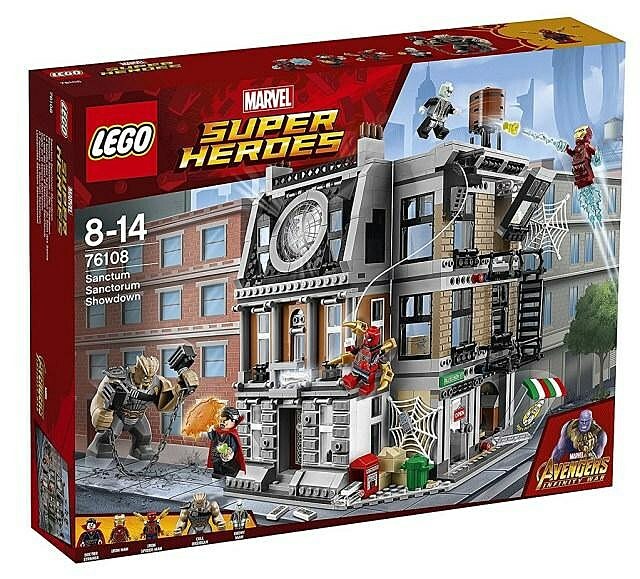 Next is the Sanctum Sanctorum Showdown set, in which Doctor Strange’s lair looks like it’ll be in jeopardy, and Spidey and Iron Man will have to offer an assist. This set includes figures of Ebony Maw and Black Dwarf, two of Thanos’ warlords. I… I don’t know what this is. I think it throws big discs at stuff. The full Corvus Glaive Thresher Attack set seems to be set in a portion of Wakanda, so maybe this is a way for Corvus Glaive, another of Thanos’ minions, to break in. 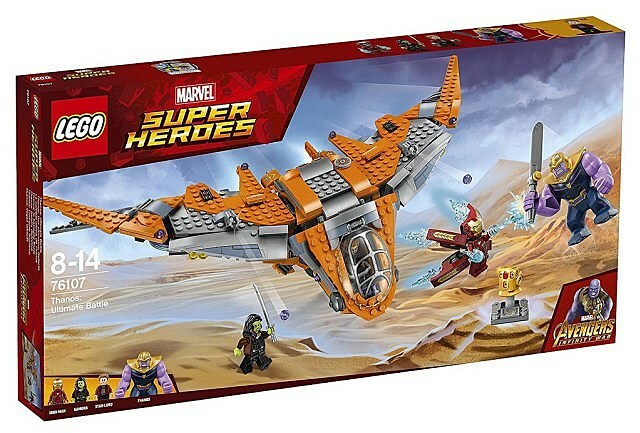 This Thanos: Ultimate Battle set includes a very LARGE figure of Thanos, plus the Guardians of the Galaxy’s spaceship, the Milano! 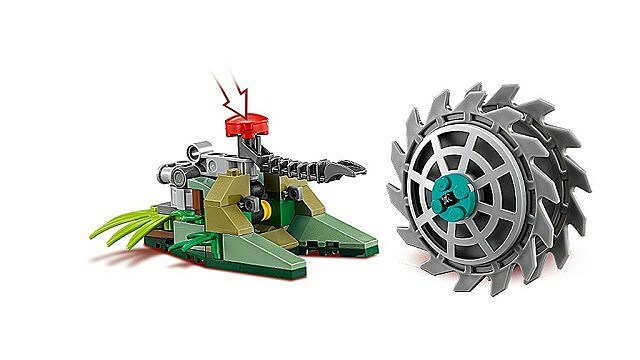 This set looks like it would be worth getting just for the fun of building that. There you have it, folks. Avengers: Infinity War hits theaters May 4.